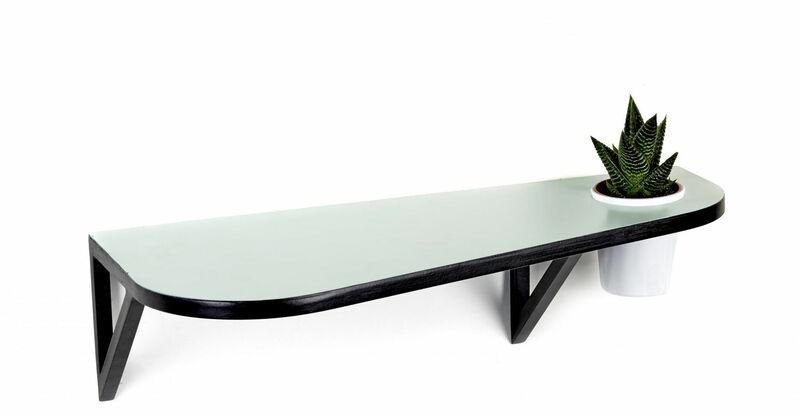 "Michiel Goethals and Mattias Van Mieghem, the designer duo named GRiNT, design unique pieces, combining refined finishes with playful and innovative details. This new collection for Serax was named ""Jean"" in tribute to the famous French designer Jean Prouvé, their source of inspiration. 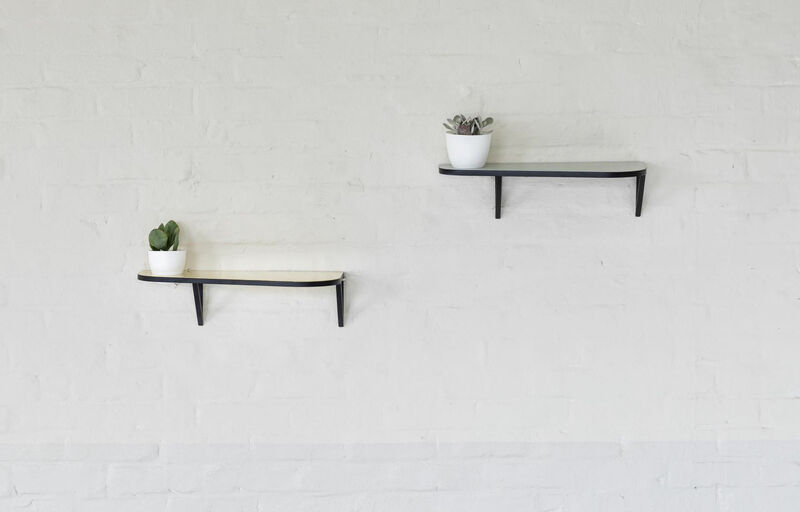 Graphic and fun, this shelf Jean infuses freshness and joy on our walls. Thanks to the hole located at one end, it is multifunctional: it can accommodate a flower pot, a vase or a classic pot as a pocket void or storage for your pens. The Jean shelf is available in resolutely vintage and trendy colors. Versatile, it will find its place as well in a bedroom as bedside table, in an entrance like small console or simply in the living room or the kitchen in its original function. 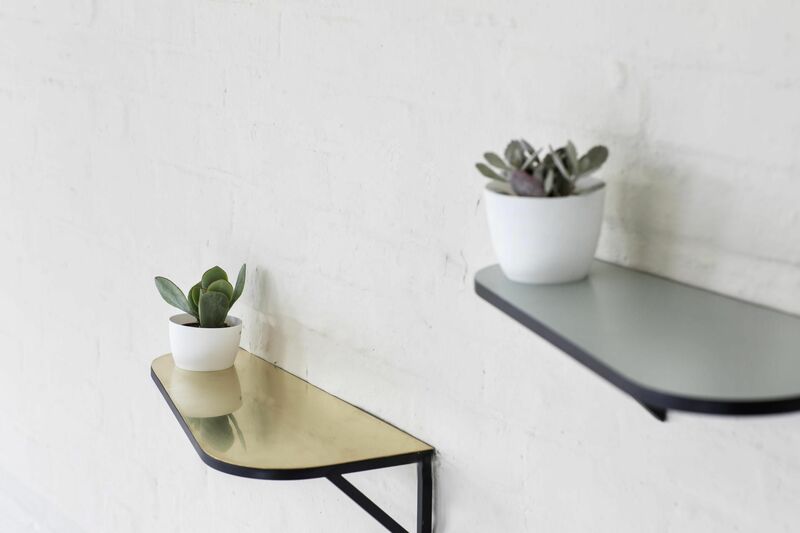 The modern and vintage look of the Jean shelf will sparkle your interior!"